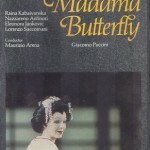 This Verona telecast has a special place in my heart, because it was my introduction to Madama Butterfly. 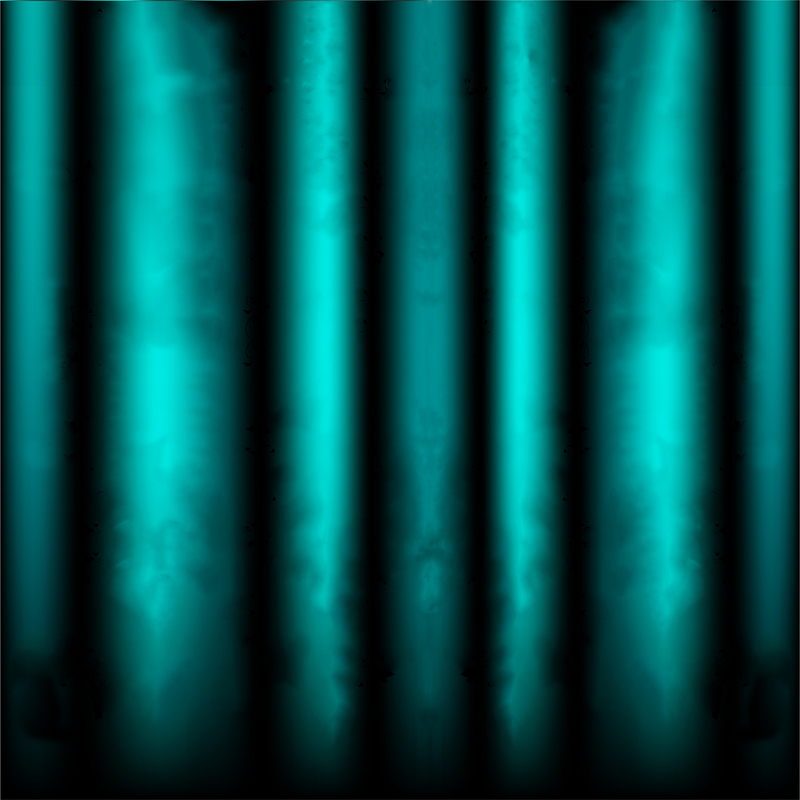 That said, its weaknesses are all too obvious and I wouldn’t recommend it to any other neophytes. But still, it has merits. 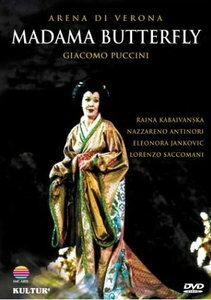 The naturalistic scenery is gorgeous, with its use of the arena’s sloping bleachers to simulate a green, flowery hill, as are the traditional costumes – though Butterfly and Suzuki’s lavish kimonos in Act II hardly seem in keeping with their poverty, and the placement of their house at the foot of the hill instead of the top requires suspension of disbelief whenever the view of the city and harbor is evoked. Meanwhile, director Giulio Chazalettes offers a solid staging that contains various beautiful tableaus and never intrudes on the singers’ performances. 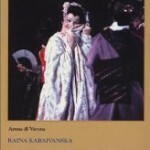 Raina Kabaivanska’s Butterfly is similar to the production – lovely if you can suspend disbelief. With her tall, stately figure, her heavy, darkly shaded spinto voice and her melodramatic old-school style of acting, the 49-year-old soprano is every inch a grand dame. Nothing about her is girlish, fragile or authentically Japanese. But her voice is a magnificent one, and she’s nothing if not passionate, offering a richly detailed if unsubtle characterization. Nazzareno Antinori, although sixteen years her junior and a stiff actor, is still a reasonably appealing Pinkerton with a bright, piercing timbre. 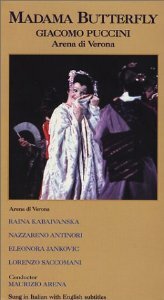 Eleonora Jankovic is a solid Suzuki who compensates for her unflattering makeup with a rich tone and impassioned acting, while Lorenzo Saccomani is a strong voiced, convincing Sharpless, but belts every note with no variety of sound. The overall best of the male principles is Mario Ferrara’s Goro, attractively sung and obsequious yet never a caricature. Conductor Maurizio Arena (how apt a name!) 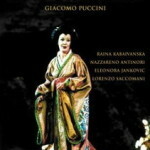 does justice to Puccini’s luxurious score. Camerawork is good, though the sound is echoy and uneven in places. In a touch I love, we’re treated to extensive shots of the audience as they fill the amphitheater, light their candles at sunset and later applaud at each curtain call – thus we share in the whole experience of an evening at the Verona Arena. 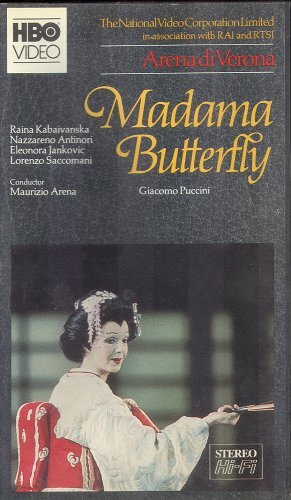 While far from definitive, this Butterfly still contains a decent amount of pleasure for Puccini lovers, even without the nostalgic appeal that it has for me. I don’t recommend it to opera newcomers, but I do recommend it. well, thanks for this. I think I’ll skip it. Maybe, I’ll give it a watch on mute. Haha…just kidding. I like my Butterflys a little younger.